Today, the farm bill passed the Senate by a vote of 68-32, its final major hurdle to becoming law for next five years. The White House reports that President Obama will sign the bill, so after a long, long wait, and lots of hard work, wildlife lovers can celebrate a farm bill that is a major win for conservation. I’ve been working on the farm bill since I first started at NWF two years ago. My coworkers and NWF members and activists were working hard on the Farm Bill for a year before that. There were times when it seemed that the bill would never pass, or would not be good for wildlife. But after hard work on the part of National Wildlife Federation members and our many partners in conservation, and after a great deal of compromise between legislators, conservation groups, and agriculture groups, the farm bill is done. 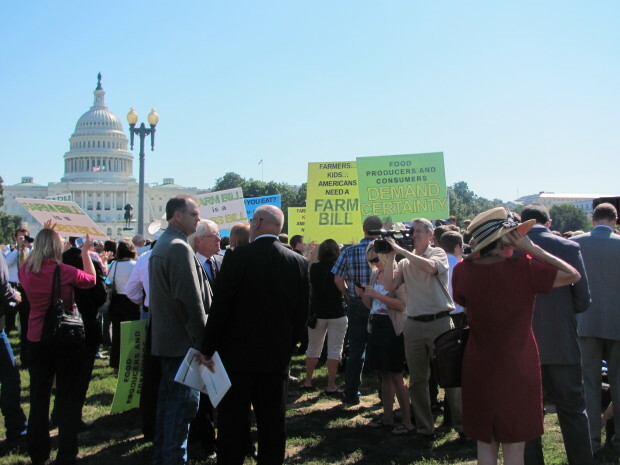 On September 12, 2012, farm groups gathered in front of the Capitol to urge Congress to pass the Farm Bill now. National Wildlife Federation staff attended. What does the farm bill have to do with wildlife? Read my first blog on the subject, and visit NWF’s webpages explaining the farm bill background. Notice how I said that the farm bill expires in 2012? I’ll come back to that. 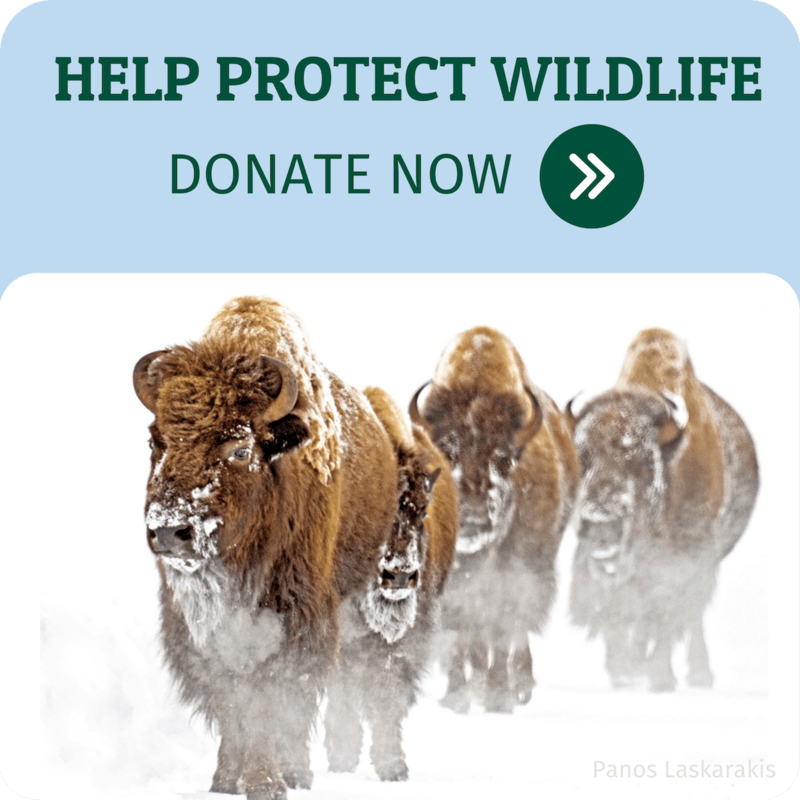 Ensure robust funding for conservation programs that help farmers protect, soil, water, and wildlife. The new bill gives us nearly all of what we asked for on our wishlist. Don’t get me wrong, the new farm bill isn’t perfect (see our full analysis). There are still cuts in the funding to conservation that we don’t like. For example, the Conservation Reserve Program (CRP) is the “holy grail” of habitat on the agricultural landscape, but it is being limited to 32 million acres of enrollment; this is down 7 million acres from the last farm bill in 2008. In the current fiscal climate, maintaining acceptable levels of conservation funding has been a hard fight. However, due to strong support of conservation programs in the agricultural and conservation communities, there is enough overall conservation funding to ensure that conservation programs continue. It provides $57.6 billion for conservation programs over the next 10 years. Furthermore, NWF efforts and the support of Rep. Anne Kuster (D-NH) have ensured that at least 5% of the Environmental Quality Incentives Program (EQIP) will fund wildlife practices; this is a big win for wildlife that will ensure that millions of dollars can help farmers create habitat for wildlife on their lands. While maintaining conservation funding was certainly a struggle, there was a time when it seemed impossible that the final farm bill would include a new conservation compliance provision or Sodsaver. Remember when a provision to link conservation compliance to crop insurance was first introduced as an amendment by Sen. Saxby Chambliss (R-GA), way back in June of 2012? Oh yeah, the farm bill was supposed to expire in 2012… But it’s 2014, and the new bill just now passed! What happened in between then and now? After the farm bill passed the Senate, it stalled for the rest of 2012. The House Agriculture Committee’s version of the bill never made it to the House floor, and the farm bill expired. Remember this blog? The barn in the picture looked awesomely spooky, so I’m reposting it here. Failing to get a five-year farm bill on the floor, Congress eventually extended the 2008 Farm Bill until September 2013. In 2013, the farm bill process started all over again in the House and Senate agriculture committees. Due to the success of the Chambliss amendment and a compromise between conservation groups and agriculture groups, as well as the leadership of Senate Agriculture Committee Chairwoman Debbie Stabenow (D-MI), the Senate Agriculture Committee’s 2013 Farm Bill included a conservation compliance provision and a national Sodsaver provision from the start. In June of 2013, the Senate passed a strong bill for conservation. Unfortunately, things were not looking good in the House. Due to strong opposition from House Agriculture committee leadership, especially Chairman Frank Lucas (R-OK), the House bill did not link conservation compliance to crop insurance, and only contained a limited regional Sodsaver provision. Attempts to amend the bill to correct those egregious problems were squashed; the final House bill was a terrible bill for conservation that NWF could not support. Furthermore, the bill failed on its first trip to the House floor, and eventually only passed after the farm and food portions of the bill were split in half and voted on separately. In September 2013, the Farm Bill expired again. Rather than extend the 2008 farm bill again, Congress proceeded to complete a new five-year bill. Conferees met and negotiated a new bill, a compromise between the House and Senate bills of 2013. Through the fall and winter of 2013, talks continued. In 2014, the conservation community waited and watched – Would the new bill contain all the hard won compromises, Sodsaver and conservation compliance? Would we be able to support the final farm bill? Thank goodness, the conference committee came through. The 2014 Farm Bill was a good one for conservation, and it sailed through the House and now, the Senate. Now farmers can have certainty and make plans for the coming years, and conservation programs can continue to provide valuable wildlife habitat. There is still a lot of work to be done to protect grasslands and the wildlife that depend on them. USDA data shows that grasslands and forests were converted to cropland at alarming rates in 2011 and 2012. But the new farm bill provides some protection and decreases incentives to destroy our beautiful native prairies. This farm bill is a great victory, and it will encourage us at NWF to keep fighting to make sure that grassland songbirds have a place to build their nests, and that ducks flying south for the winter have a safe place to land. Thanks to everyone in the NWF family, members and staff, and all our conservation partners who reached out to their members of Congress to ensure this wildlife victory!